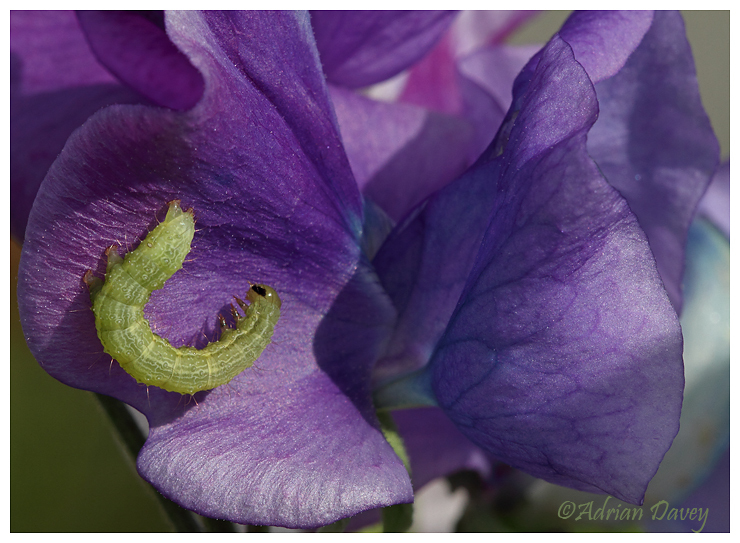 Adrian Davey Bird & Wildlife Photography: Caterpiller on Sweet Pea. (Unknown sp,could be Saw Fly Larva?. Caterpiller on Sweet Pea. (Unknown sp,could be Saw Fly Larva?.